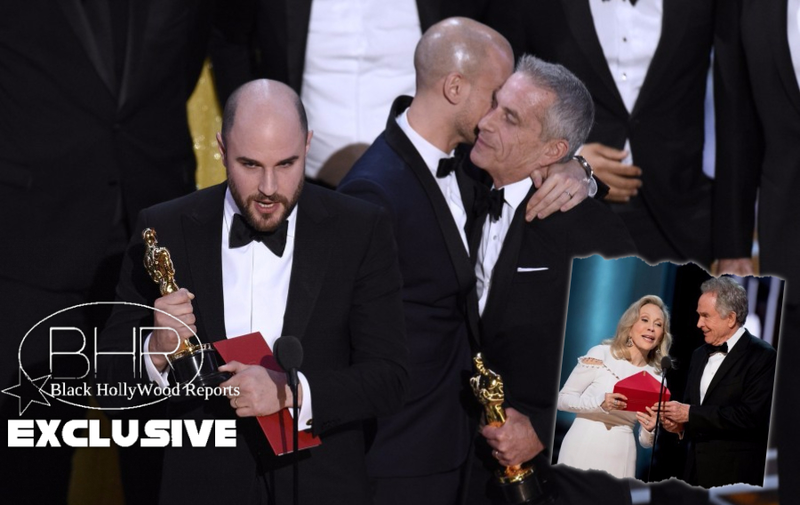 BHR Hollywood Reports..........The 89th Academy Awards show took a shocking turn on Sunday night when presenters Faye Dunaway and Warren Beatty mistakenly announced the winner for best picture. Beatty said the best picture was Hollywood musical film "La La Land" when it fact it was the coming-of-age story "Moonlight." 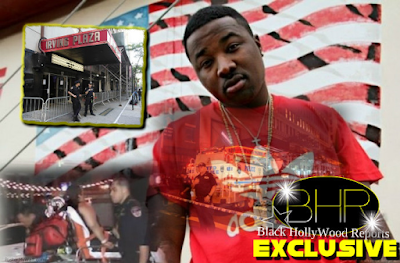 After the mix-up was corrected, the actor stepped in and explained how it happened. "I opened the envelope and it said Emma Stone, "La La Land." That's why I took such a long look at Faye ... I wasn't trying to be funny. This is Moonlight the best picture," he clarified. 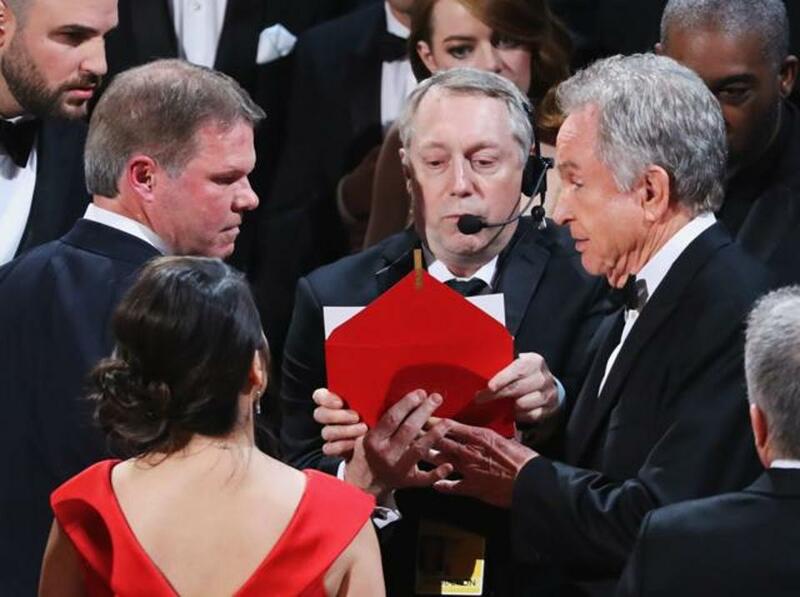 The official accountant of the Oscars, Pricewaterhousecoopers, gave her the wrong envelope. “We sincerely apologize to 'Moonlight,' 'La La Land,' Warren Beatty, Faye Dunaway, and Oscar viewers for the error that was made during the award announcement for Best Picture,” the firm said in a statement. 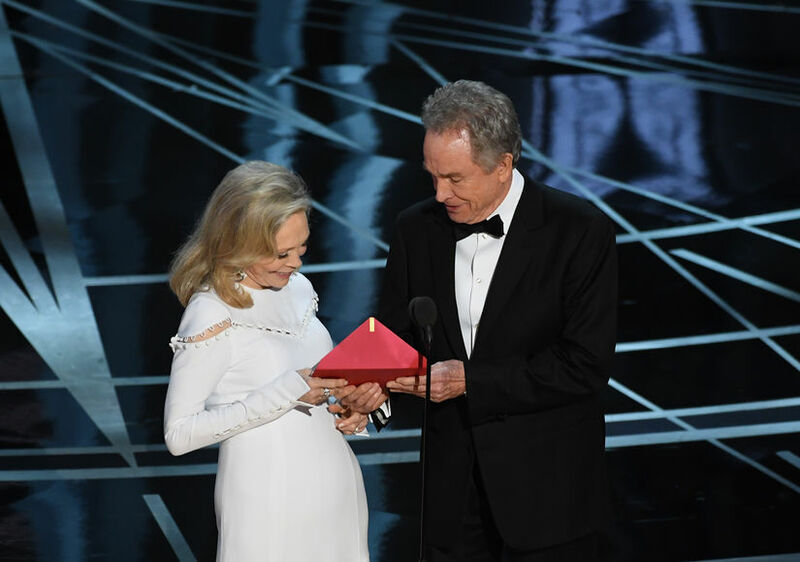 "I opened the envelope and it said Emma Stone, 'La La Land.' That's why I took such a long look at Faye, and at you," Beatty told the crowd amid the confusion on stage. "I wasn't trying to be funny." "I knew I would screw this up," he joked. 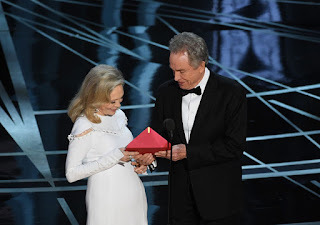 Later backstage, Stone said she still had the card from which her best actress win had been read, so it couldn't have been the one that they read from onstage.